At a moment when so many ecological limits are being breached by a civilization largely oblivious to its own embedment within the biosphere, how can we swiftly catalyze a collective recognition of our thorough dependence upon the animate earth? How to open a fresh and unshakeable solidarity between humankind and the other animals, plants, and elemental forces that compose this breathing commonwealth? 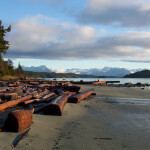 In the summer of 2019, David Abram will lead an extraordinary, six-day workshop with a small group of folks on wild Cortes Island in British Columbia (at one of the most ecological diverse and soulful retreat spaces in the world), from August 9th-14th. The workshop is called Falling Awake: The Ecology of Wonder, and it promises to be a powerful event. Come join us!